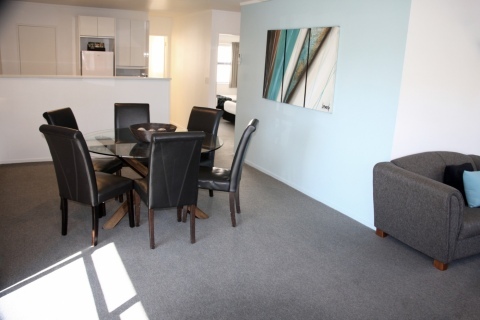 This generously sized two bedroom apartment is ideally suited to families, adult groups or sports teams. It is also great for families on transfer or those looking to stay longer term. This apartment has two separate bedrooms from the lounge and dining area. 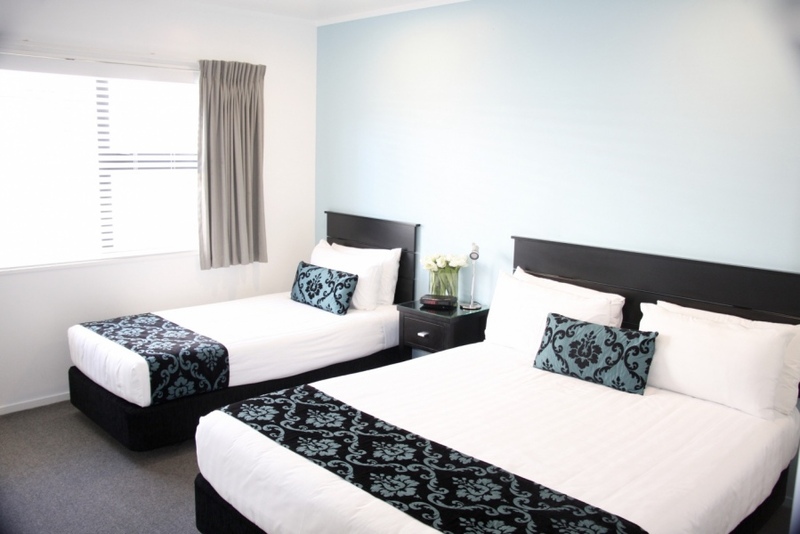 In the first bedroom there is a king bed and in the second bedroom there is a queen and a single bed. In addition to this there are two more single beds in an alcove off from the lounge. The lounge area of this apartment has a two-seater couch and plenty of tub chairs for all the guests to enjoy. 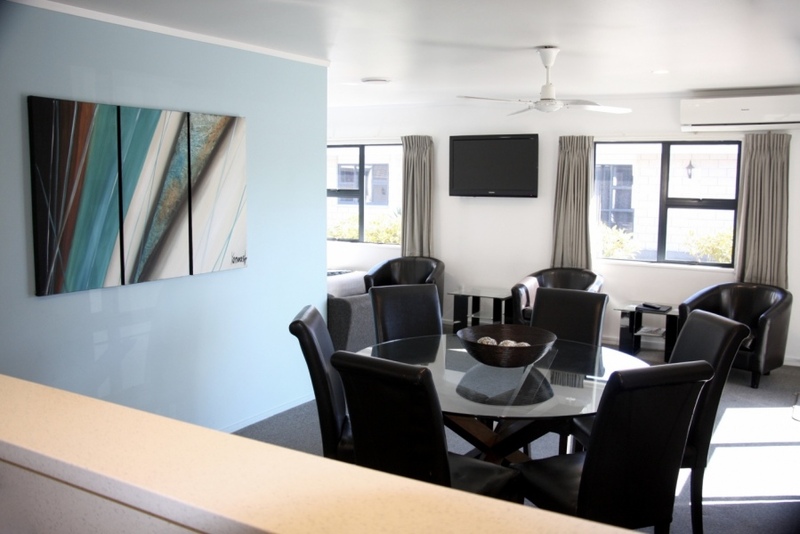 The large round dining table seats up to six people. 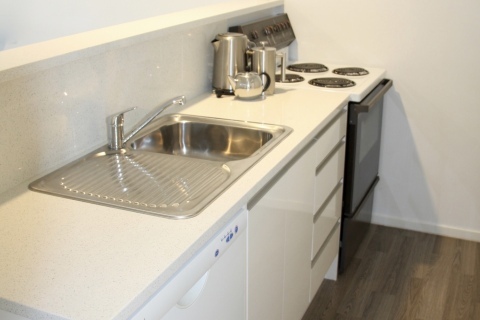 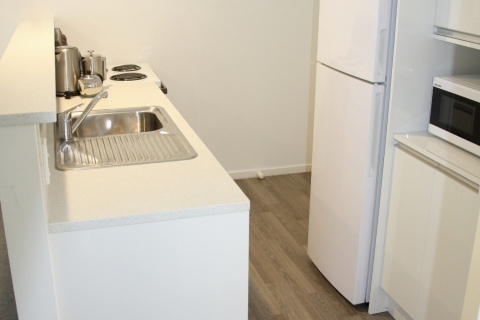 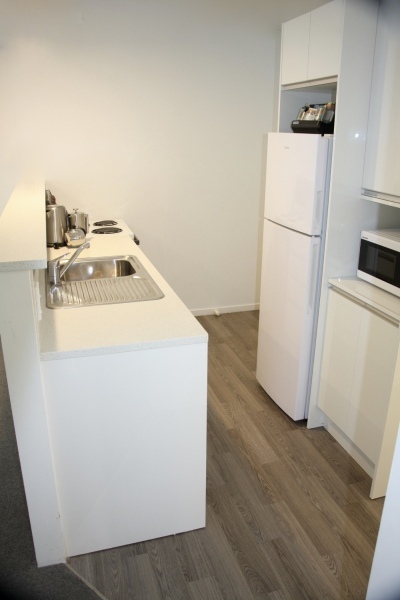 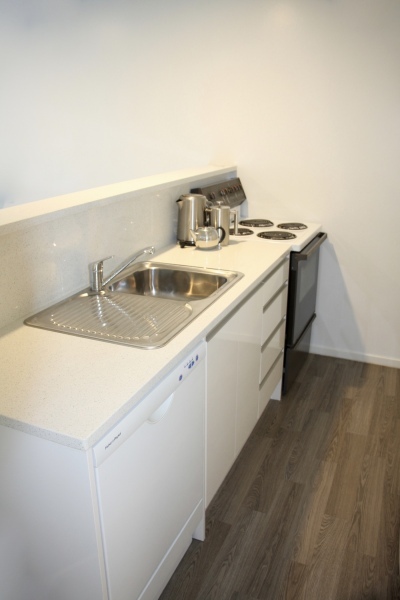 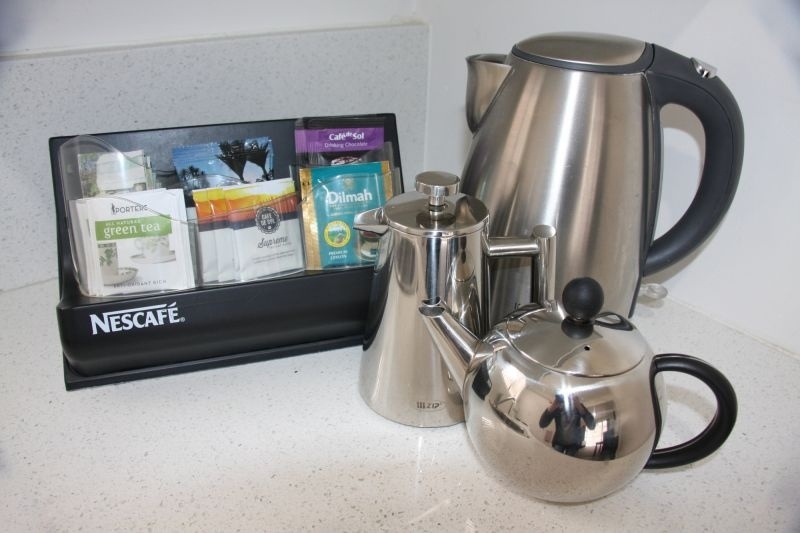 The fully equipped kitchen which includes a full sized oven / stove, microwave and full fridge / freezer, allows you and your guests to cook any of your favourite dishes whilst you are away from home. 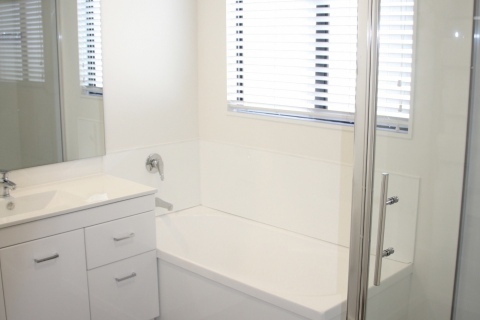 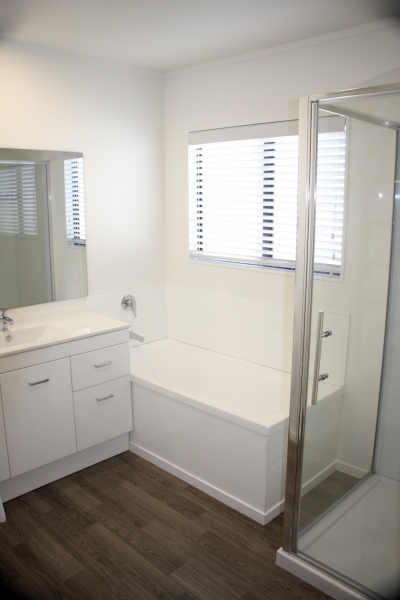 This apartment has a separate shower and bath and the toilet can be closed off from the bathroom. 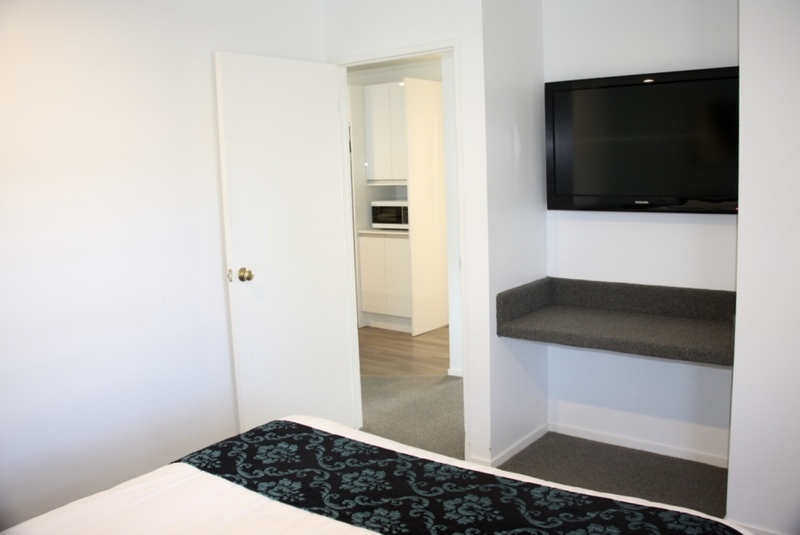 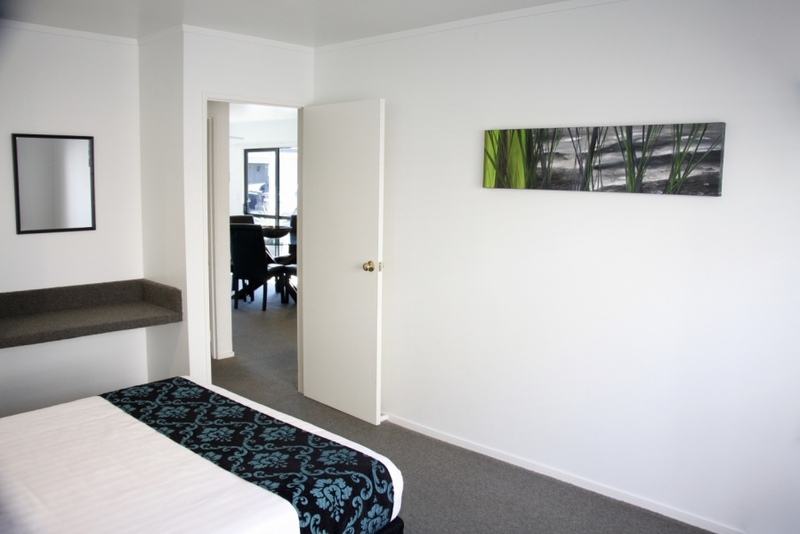 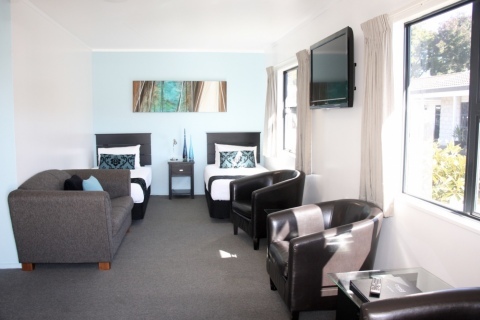 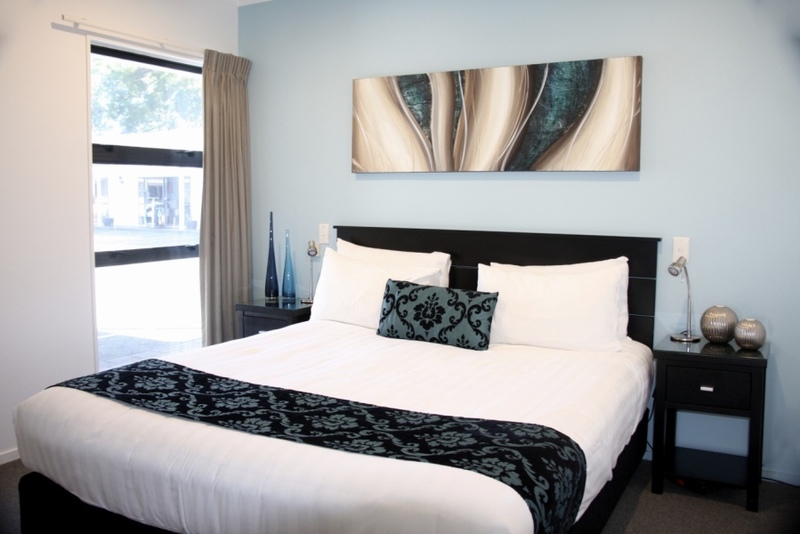 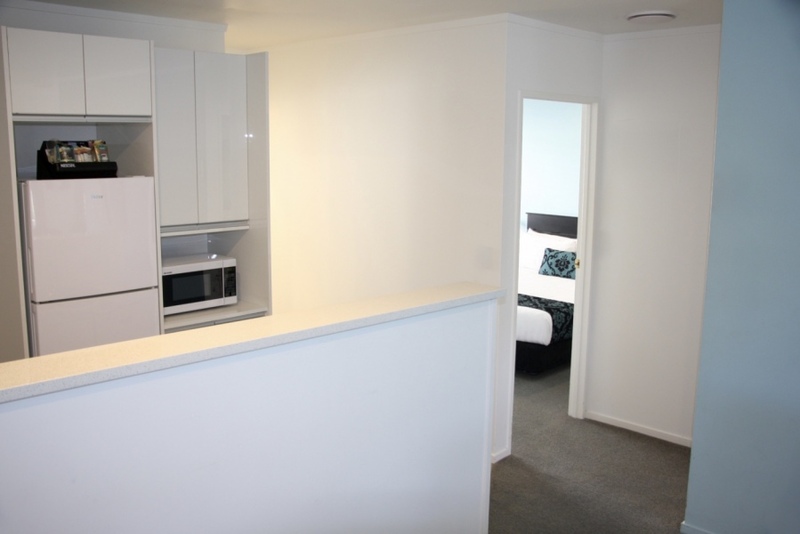 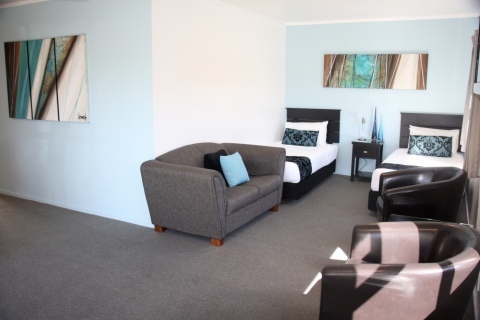 Our two bedroom apartment accommodates a maximum of 7 people. All rates are based on 2 people with an additional $25.00 charge for each guest thereafter.